Pat Conroyâ€™s father, Donald Patrick Conroy, was a towering figure in his sonâ€™s life. The Marine Corps fighter pilot was often brutal, cruel, and violent; as Pat says, â€œI hated my father long before I knew there was an English word for â€˜hate.â€™â€ As the oldest of seven children who were dragged from military base to military base across the South, Pat bore witness to the toll his fatherâ€™s behavior took on his siblings, and especially on his mother, Peg. She was Patâ€™s lifeline to a better worldâ€”that of books and culture. But eventually, despite repeated confrontations with his father, Pat managed to claw his way toward a life he could have only imagined as a child. Patâ€™s great success as a writer has always been intimately linked with the exploration of his family history. 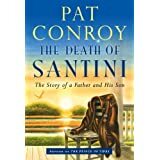 While the publication of The Great Santini brought Pat much acclaim, the rift it caused with his father brought even more attention. Their long-simmering conflict burst into the open, fracturing an already battered family. But as Pat tenderly chronicles here, even the oldest of wounds can heal. In the final years of Don Conroyâ€™s life, he and his son reached a rapprochement of sorts. Quite unexpectedly, the Santini who had freely doled out physical abuse to his wife and children refocused his ire on those who had turned on Pat over the years. He defended his sonâ€™s honor. 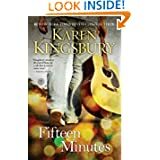 Zack Dylan made a promise to God and his college sweetheart as he left his familyâ€™s horse farm in Kentucky to compete on the popular reality television show Fifteen Minutes: If he makes it, the fame wonâ€™t change him. Overnight, Zack is the nationâ€™s most popular contestant, a country singer with the looks and voice of a young Elvis. As his star rises, Zack is asked to compromise and quiet his beliefs, and also someÂ­thing more. Something Zack could never have imagined. Just as America is falling in love with Zack, just as heâ€™s on the verge of winning it all, his choices lead him to the brink of personal disaster. At the same time, Reese Weatherly, a theraÂ­peutic horse instructor, is no longer sure about her relationship with Zack, or the wedding they had dreamed about. While Zack advances from one round of the competition to the next, an offer comes to Reeseâ€”one that will take her to a home halfway around the world. Then Chandra Olsonâ€”reigning diva pop star and one of the Fifteen Minutes judgesâ€”intervenes. Chandra has suffered so much public pain and priÂ­vate agony since her days as a Fifteen Minutes contestant. Now she wants just one thing: meaning. Can Chandraâ€™s private losses help Zack find his way, or will his fifteen minutes of fame cause him to lose the life he once loved? Fifteen Minutes is a story of character, compromise, and the cost of having it all. A story that raises the question: Who are the real winners? At a high point in his career, Artie Lange played a sold-out show in Carnegie Hall and totally killedâ€”yet during his standing ovation, all he could think of were the two bags of heroin in his pocket. In the midst of a deep, self-destructive depression, addicted to heroin and prescription drugs, he lashed out at everyone around himâ€” from his fellow cast members on The Howard Stern Show, to celebrity guests, his longtime friends, and even his own family. By turns dark and disturbing, hilarious and heartbreaking, and always drop-dead honest, Crash and Burn lifts the curtain on Artieâ€™s dangerous slide, and offers a new, crystal-clear window into the mind of the addict. For the first time, Artie reveals all: the full truth behind his now legendary Stern Show meltdown, his suicide attempt (which he relates in terrifying detail), surprising stints in rehab, and painful relapses. With the help and support of friends and family, Artie claws his way back, turning his life and career around. And despite his slipups, backslides, and permanent losses, Artie forges on. 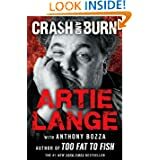 With Crash and Burn, Artie Lange goes all-in, confessing a story that is as shocking as it is funny, ever tempered by his characteristic humor, self-awareness, and inimitable way with words. 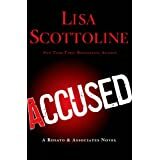 New York Times bestselling and Edgar Awardâ€“winning author Lisa Scottoline revolutionized crime fiction when she introduced her all-female law firm of Rosato & Associates, thrilling readers with her twisty, fast-paced plots and capturing their hearts with her cast of strong and relatable female characters. Now Bennie Rosato, Mary DiNunzio, Judy Carrier, and Anne Murphy are back with all cylinders firing in Accused. Mary Dinuzio has just been promoted to partner and is about to take on her most unusual case yet, brought to the firm by a thirteen-year-old genius with a penchant for beekeeping.Â Allegra Gardnerâ€™s sister Fiona was murdered six years ago, and it seemed like an open-and-shut case: the accused, Lonnie Stall, was seen fleeing the scene; his blood was on Fiona and her blood was on him; most damningly, Lonnie Stall pleaded guilty.Â But Allegra believes Lonnie is innocent and has been wrongly imprisoned. The Gardner family is one of the most powerful in the country and Allegraâ€™s parents donâ€™t believe in reopening the case, so taking it on is risky.Â But the Rosato & Associates firm can never resist an underdog.Â Was justice really served all those years ago?Â It will take a team of unstoppable female lawyers, plus one thirteen-year-old genius, to find out. 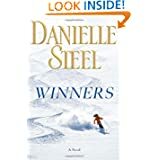 Lily Thomas is an aspiring ski champion training for the Olympics, a young woman with her heart set on winning the gold. But in one moment, Lilyâ€™s future is changed forever, her hopes for the Olympics swept away in a tragic accident. Bill, Lilyâ€™s father, has pinned all his hopes on his only daughter, his dreams now shattered. Other lives will entwine themselves with theirs: Joe, a financial manager, faces a ruined career at the hand of a dishonest partner. Carole, a psychologist at Mass General, is a breast cancer survivor, her body and heart scarred by what sheâ€™s been through. Teddy, with a spinal cord injury worse than Lilyâ€™s, dreams of college and becoming an artist.